Product prices and availability are accurate as of 2019-04-19 10:53:30 EDT and are subject to change. Any price and availability information displayed on http://www.amazon.com/ at the time of purchase will apply to the purchase of this product. 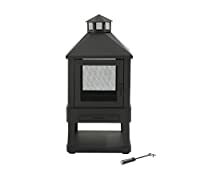 Enjoy the warmth of campfire heat in your own back yard with this Crosley Furniture Monticello Fire Pit. This all steel contemporary fire pit is designed to be enjoyed from all angles, with a mesh spark guard sides that allows 360° viewing while providing all-around protection. 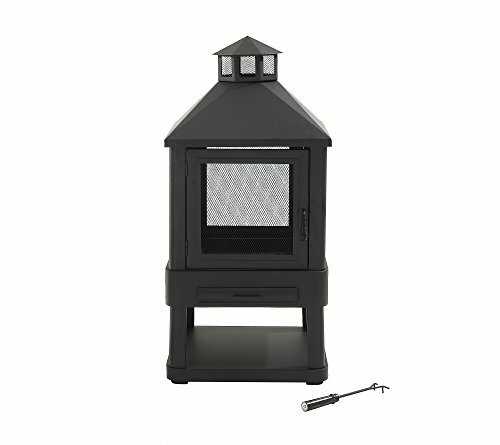 To keep the fires stoked and burning, this fire pit includes a steel fire poker and a hinged door with a locking handle to provide safe and secure access. Once your fire is finished and your ashes have cooled, clean up with ease using the convenient pull-out ash drawer.